B&O PLAY by BANG & OLUFSEN introduces BeoPlay A6 speaker system. Designed to fit a modern lifestyle with multiple work and leisure locations around the house the unique shape spreads the sound to the entire room and maintains an ambient character no matter where you are. 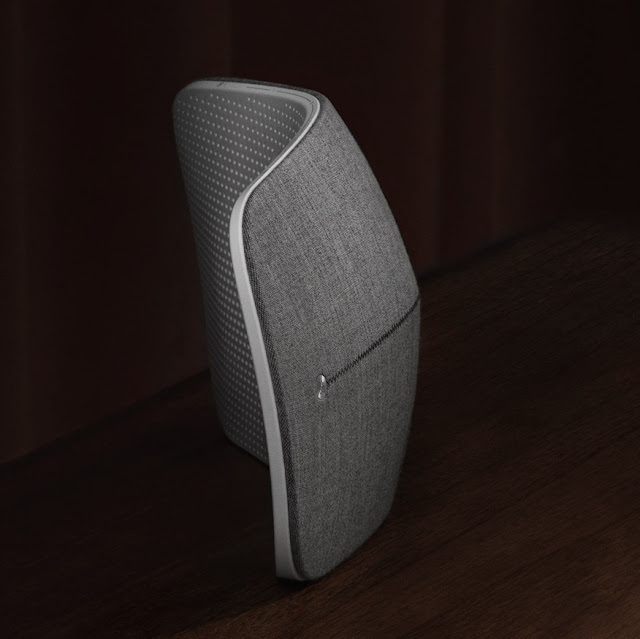 BeoPlay A6 features an innovative tap and swipe interface, a smooth connection with almost all streaming standards and a unique cover collaboration with Kvadrat, one of Europe’s leading manufacturers of design textiles. 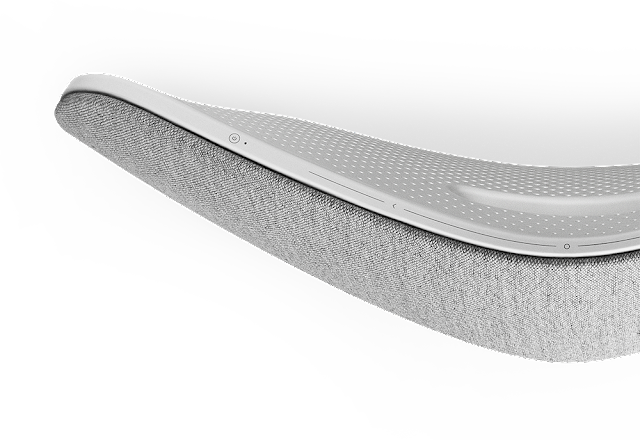 “In a way I have designed BeoPlay A6 the same way I design a piece of furniture, however here form follows sound and interaction. It’s intuitive yet surprising shape always “plays to you” no matter where you are and generates a much more intimate relationship than you would normally get from a conventional music system. 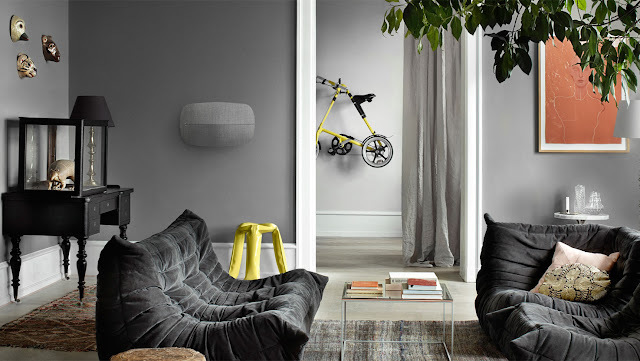 BeoPlay A6 can blend in gracefully with almost any interior yet stand out with its distinct character. No matter if you place it freely, in a corner or on the wall it will become the centre of social interaction like a contemporary jukebox”, says Jakob Wagner. You can control your music directly on BeoPlay A6 by tapping or swiping the innovative touch interface, a system introduced with the award-winning BeoPlay A9, or you can simply use your mobile device. BeoPlay A6 is a five-channel speaker with four speakers on the front and one full-tone driver pointing backwards that maximize the spaciousness of the sound. Each speaker has its own dedicated digital amplifier. Europe’s leading manufacturers of design textiles. The delicate weaving pattern of sophisticated multi-coloured threads provides both acoustic transparency and a strong, visual appearance. BeoPlay A6 features BeoLink Multiroom technology, which unites your B&O PLAY and Bang & Olufsen products into one liberating wireless system. With BeoLink Multiroom you can play different music in different rooms or let one tune flow throughout your home. Start the music with a single tap on BeoPlay A6. This is one of the most good looking speakers with awesome sound. I love my small Bose speakers but these one are really awesome to have at home.